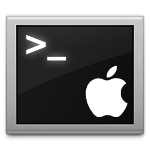 If you are a Mac owner and a serious *NIX user, you're probably aware of Homebrew. I have a few of my favorite tools installed with brew and I like to keep my "Cellar" clean and up-to-date. Here's my commonly used commands and my typical workflow.